Want to learn how to make a game? 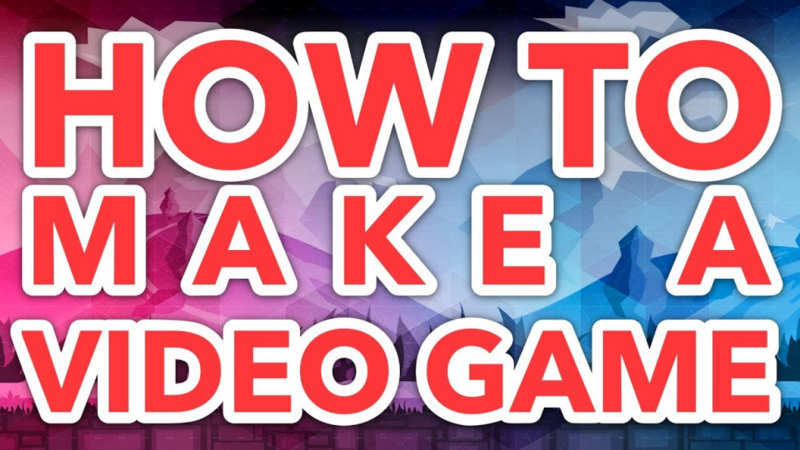 Our educational director, Zack Griset just released a new video on How to Make a Game. If you ever wanted to learn how to make games but you lack coding skills, or you’re not quite sure how to get started this video is a must-see! In the video, you’ll watch the clock countdown as Zack attempts to quickly show you how to make a game in under a minute. You’ll get to watch Buildbox’s rapid development in action as he tries to create a working prototype of a ‘Jetpack’ style game. If this concept sounds somewhat familiar, it’s because it’s a remake of Trey’s popular 2015 video with a similar title. However, in this updated version, Zack digs a little deeper and walks you through the whole process of creating a game lightning fast. The video is part rapid development demonstration and part in-depth tutorial on how to make a game. You’ll learn how to use the different advanced options and settings available in Buildbox for rapid game prototyping. Rapid prototyping is the process of quickly creating a working version of your game or product. The ability to do this is vital for success, especially when you’re just starting out. With Buildbox, you can easily create prototypes of your game without writing a single line of code. Then directly test, to see if an idea is worth pursuing. Rapid development will also give you the option of prototyping game ideas in fun ways, which you’ll get to see in the video. You can create several variations of your game, make changes or explore entirely new ideas. Using a codeless tool like Buildbox allows you to quickly prototype your game ideas. You’ll avoid wasting unnecessary time working on a concept that won’t work. In the video, you’ll get to watch as Zack demonstrates Buildbox’s rapid development capabilities. Armed with only a saved set of basic graphics and our software. He’ll race against the clock while attempting to make a functioning game in under a minute. Then he’ll show you in-detail step-by-step how to make a game. You’ll learn simple things that you can do, specific settings to change, features to add to build out levels within your game quickly. This how to make a game tutorial will also teach you how to add cool power-ups like invincibility and speed. You’ll also learn how to add a distance meter, scoreboard, fonts, coins, paths, and much more. Umm how do i get this app do i need to pay? I am download buildbox app but it is not starting.it is asking that if you are a visitor go back soon. If you’ve already subscribed and are having trouble accessing your account please email our support team directly at support@buildbox.com and they’ll assist you.